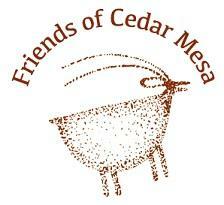 Friends of Cedar Mesa (FCM) is a 501(c)3 conservation organization in Bluff, Utah founded in 2010. FCM envisions a future where the public lands in San Juan County – with all their natural, cultural and recreational values – are protected and respected. To achieve this goal, we work to educate visitors about respectful recreation in the Bears Ears National Monument, monitor cultural sites, effect change through research and service projects, improve land management policies, and engage citizens in advocacy.